Only authorised Mercedes-Benz Service Centres have the state-of-the-art facilities, tooling and sophisticated diagnostic equipment to support you when and where you need. With full Mercedes-Benz factory support and factory-trained technicians, the authorised Mercedes-Benz Service Centre network provides the right choice to maintain your vehicle in optimal condition. 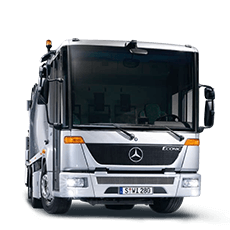 Mercedes-Benz dealer such as Orange Mercedes Benz Trucks. Daimler Trucks Roadside Assistance is designed to provide you with assistance in the unlikely case of a breakdown in Australia, 24 hours a day, 365 days a year. In the event of a breakdown, one call to the free hotline connects you with our Roadside Assistance Call Centre and will despatch a qualified Mercedes-Benz technician. Equipped with state-of-the-art diagnostic and communications technology, we will identify the fault and get your vehicle back on the road, without delay. For Emergency Roadside Assistance please call 1 800 033 557. Mercedes-Benz Parts has the ‘Ability+’ to keep your vehicle and business running smoothly. With service points across Australia, the Mercedes-Benz Truck Dealer Network ensures that its after-sales support is both national and local. 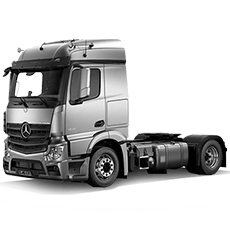 We understand the importance of keeping your truck on the road and that’s why Orange Mercedes Benz Trucks offer an extensive range of Mercedes-Benz Genuine Parts that can be sourced and installed quickly at an affordable price. Day and night, we are there when you need us most, offering around-the-clock support to keep your business moving. Our specially-trained staff will attend to your request, while providing expert assistance on everything from parts identification to ordering and installation, so you can focus on your core business knowing your parts order is being processed efficiently and at an affordable price. Through this commitment to ‘Availability, Affordability, & Serviceability,’ Mercedes-Benz Trucks truly have the ‘Ability+’ to keep your vehicle and business running smoothly. 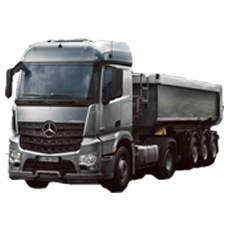 Mercedes-Benz Trucks really are the trucks you can trust.